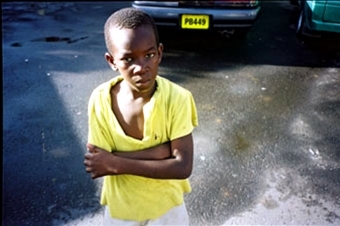 At a bus station on a Caribbean island, two travelers buy a roll of film from the camera of a young boy. The pictures tell the story of a typical tourist. Later they meet the boy again and realize then how he came into possession of the camera. The Tourist - a story in 24 pictures!